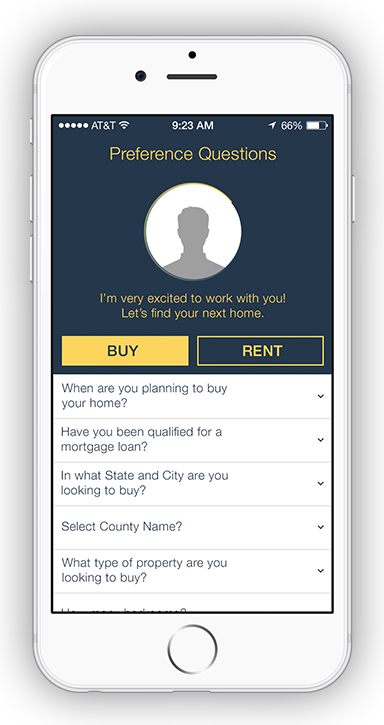 An innovative, easy new app and way for realtors to build leads and drive sales. 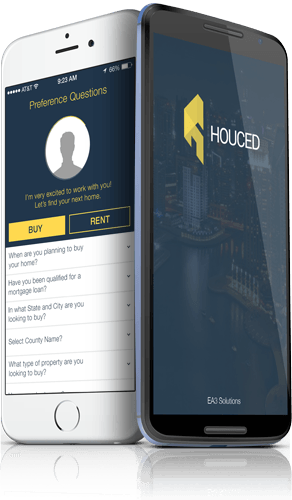 HOUCED is a powerful new mobile app enabling realtors to quickly build leads, drive sales and grow their business in today’s competitive real estate market. 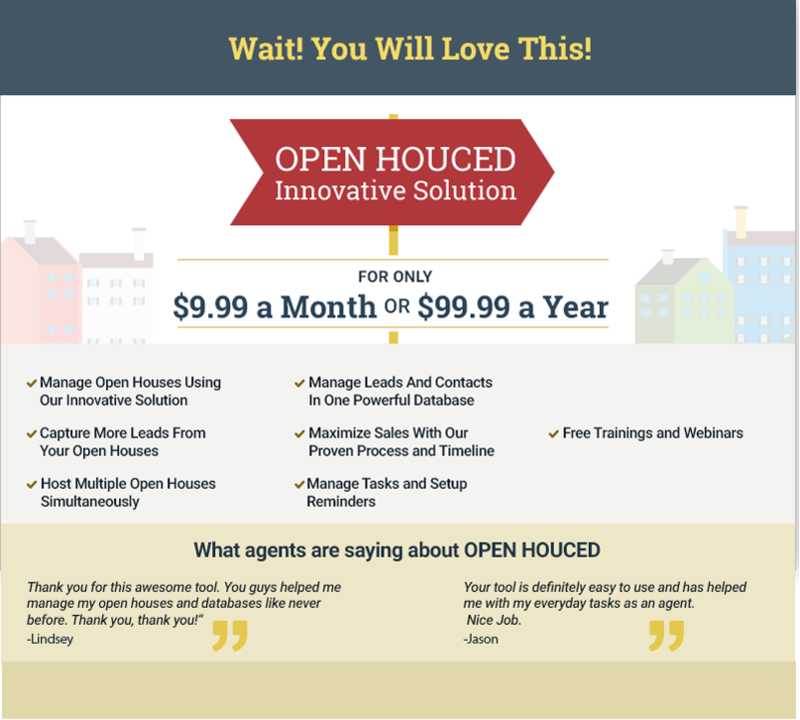 Featuring HOUCED’s proprietary mobile dashboard, HOUCED gives realtors the insights and tools to find leads and close sales as never before. As a powerful marketing tool to turn casual and professional contacts into potential clients, HOUCED lets you turn every occasion into a new business opportunity. 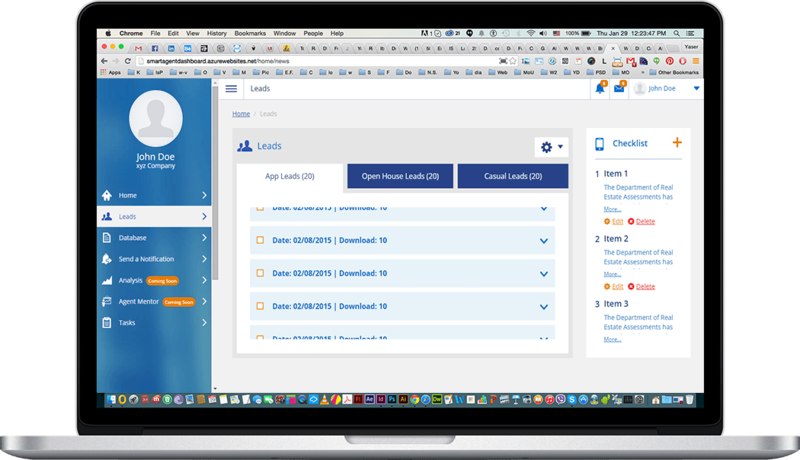 With Smart Dash, HOUCED’s powerful proprietary dashboard, HOUCED lets you efficiently manage all your work and all your clients in one central location. Offering better insights into client needs and instant client mobile notifications, HOUCED lets you streamline the entire sales process for better service and more sales at a faster rate. Whether by helping you become a point of contact for MSL listings in your area or by serving as a recruiting tool to attract and retain real estate professionals, HOUCED offers a powerful new way to build your brand. © 2015 EA3 Solutions LLC. All Rights Reserved. The Website may contain message boards, chat rooms, personal web pages or profiles, forums, bulletin boards, email messages, and other interactive features (collectively, "Interactive Services") that allow users to post, submit, publish, display or transmit to other users or other persons (hereinafter, "post") content or materials (collectively, "User Contributions") on or through the Website. Any User Contribution you post to the site will be considered non-confidential and non-proprietary. By providing any User Contribution on the Website, you grant us and our affiliates and service providers, and each of their licensees, successors and assigns the right to use, reproduce, modify, perform, display, distribute and otherwise disclose to third parties any such material for any purpose. · You own or control all rights in and to the User Contributions and have the right to grant the license granted above to us and our licensees, successors and assigns. This website is operated by EA3 Solutions, LLC. All other feedback, comments, requests for technical support and other communications relating to the Website should be directed to: info@houced.com. EA3 Solutions LLC ("Company" or "We") respects your privacy and is committed to protecting it through our compliance with this policy. This policy describes the types of information we may collect from you or that you may provide when you visit the website <<houced.com>> (our "Website") and our practices for collecting, using, maintaining, protecting and disclosing that information. · On this Website (including on the Houced Dashboard). This policy does not apply to information we collect offline or through any other means, including on any other website or apps operated by Company. Our Website is not intended for children under 13 years of age. We do not knowingly collect personal information from children under 13. If we learn we have collected or received personal information from a child under 13 without verification of parental consent, we will delete that information. If you believe we might have any information from or about a child under 13, please contact us at info@houced.com. Information We Collect Through Automatic Data Collection Technologies . We also may use these technologies to collect information about your online activities over time and across third-party websites or other online services (behavioral tracking). See Choices about How We Use and Disclose Your Information for information on how you can opt out of behavioral tracking on this and how we respond to web browser signals and other mechanisms that enable consumers to exercise choice about behavioral tracking. · Flash Cookies. Certain features of our Website may use local stored objects (or Flash cookies) to collect and store information about your preferences and navigation to, from and on our Website. Flash cookies are not managed by the same browser settings as are used for browser cookies. For information about managing your privacy and security settings for Flash cookies, see Choices about How We Use and Disclose Your Information . We may also use your information to contact you about our own and third-parties' goods and services that may be of interest to you. If you do not want us to use your information in this way, please adjust your user preferences in your account profile. For more information, see Choices About How We Use And Disclose Information . · To a buyer or other successor in the event of a merger, divestiture, restructuring, reorganization, dissolution or other sale or transfer of some or all of EA3 Solutions' assets, whether as a going concern or as part of bankruptcy, liquidation or similar proceeding, in which personal information held by EA3 Solutions about our Website users is among the assets transferred. · If we believe disclosure is necessary or appropriate to protect the rights, property, or safety of EA3 Solutions, our customers or others. · Disclosure of Your Information for Third-Party Advertising. If you do not want us to share your personal information with unaffiliated or non-agent third parties for promotional purposes, you can opt-out by logging into the Website and adjusting your user preferences in your account profile by checking or unchecking the relevant boxes or by sending us an e-mail stating your request to privacy@houced.com. · Promotional Offers from the Company. If you do not wish to have your contact information used by the Company to promote our own or third parties' products or services, you can opt-out by logging into the Website and adjusting your user preferences in your account profile by checking or unchecking the relevant boxes or by sending us an e-mail stating your request to privacy@houced.com. If we have sent you a promotional e-mail, you may send us a return e-mail asking to be omitted from future e-mail distributions. This opt out does not apply to information provided to the Company as a result of a product purchase, warranty registration, product service experience or other transactions. · Targeted Advertising. If you do not want us to use information that we collect or that you provide to us to deliver advertisements according to our advertisers' target-audience preferences, you can opt-out by adjusting your user advertising preferences in your account profile by checking or unchecking the relevant boxes replica watches or by sending us an e-mail stating your request to privacy@houced.com. For this opt-out to function, you must have your browser set to accept browser cookies. We do not control third parties' collection or use of your information to serve interest-based advertising. However these third parties may provide you with ways to choose not to have your information collected or used in this way. You can opt out of receiving targeted ads from members of the Network Advertising Initiative ("NAI") on the NAI's website, <<www.networkadvertising.org>>.